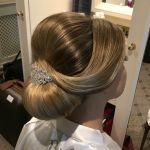 Revolution Slider Error: Slider with alias bridal-hair not found. 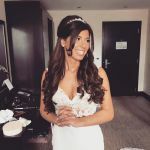 On your Wedding Day, the most special day of your life, I understand how important it is to look your absolute best, not only in photographs, but on the day too, where everyone will see just how beautiful you are. 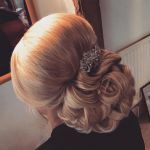 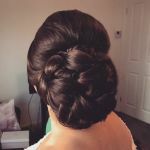 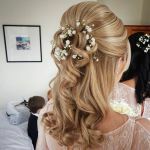 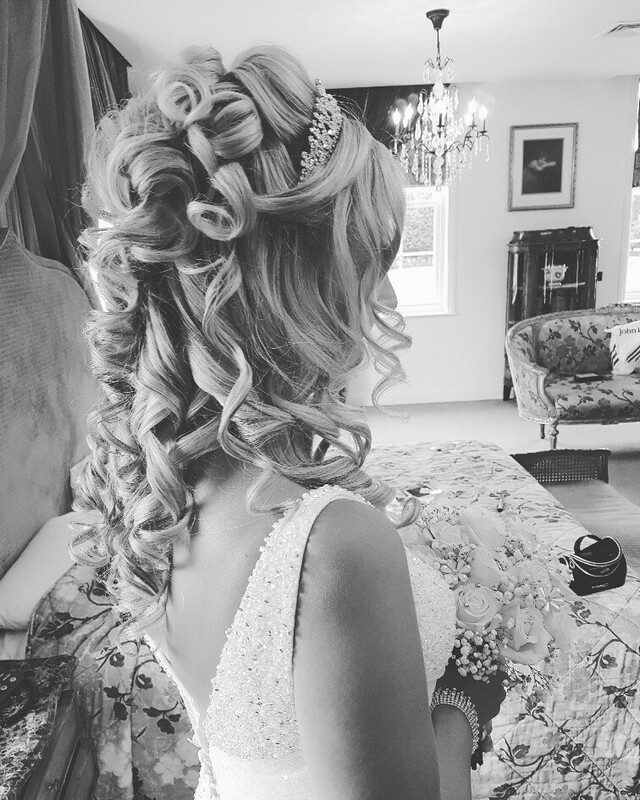 My Bridal Hair experience gives me the advantage to do any style. 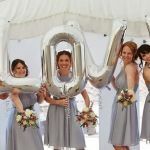 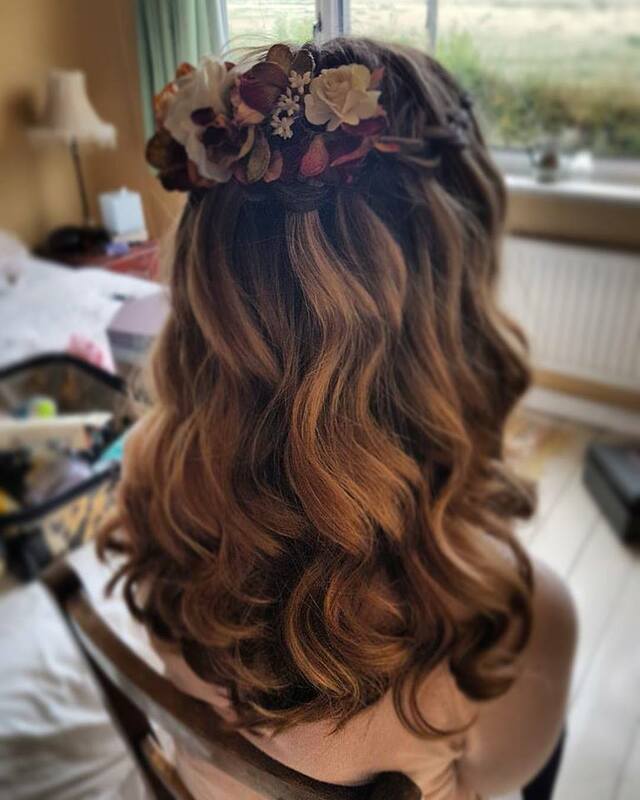 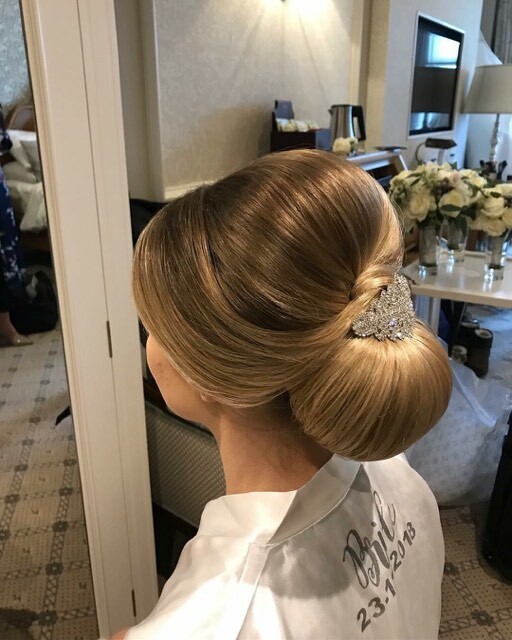 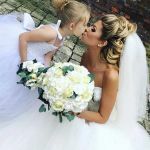 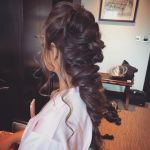 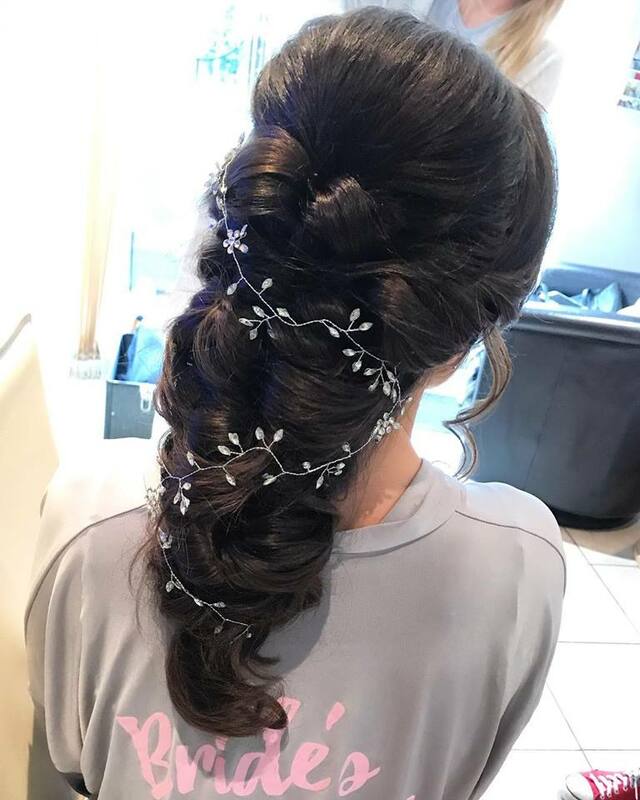 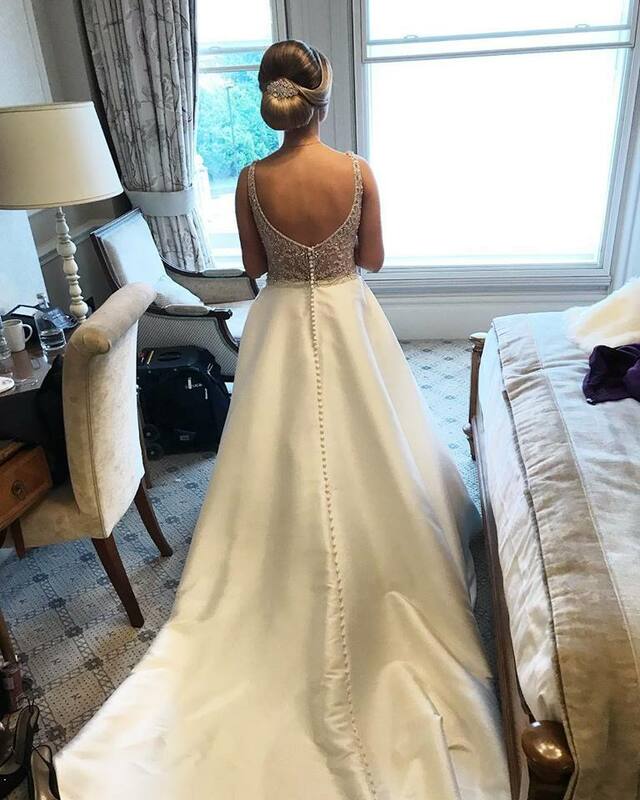 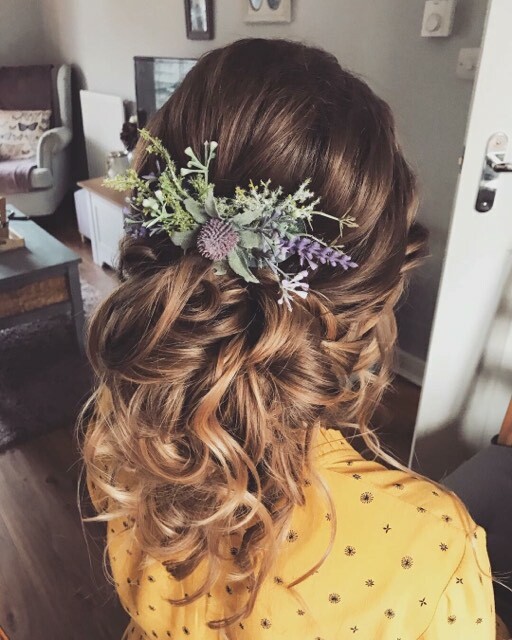 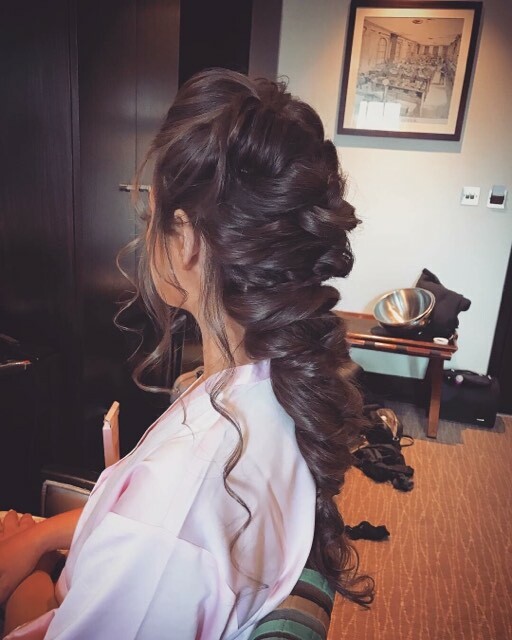 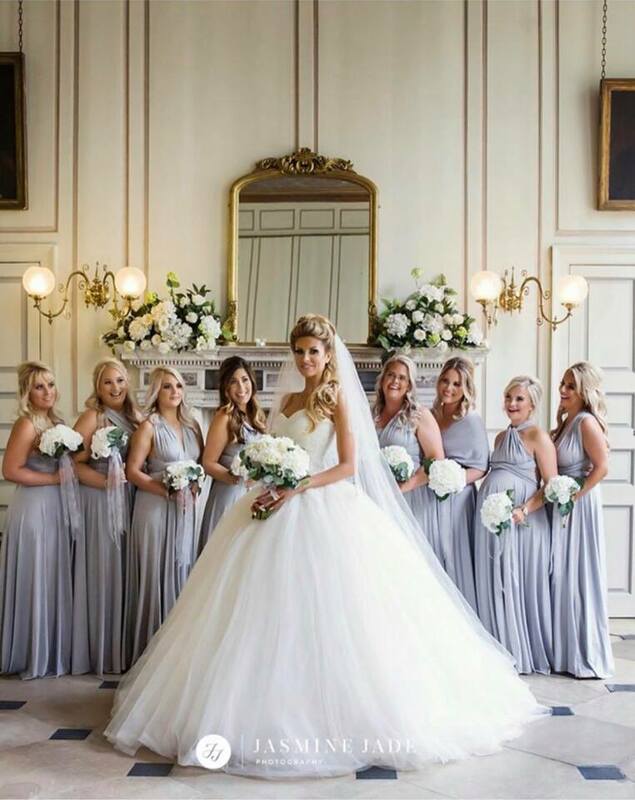 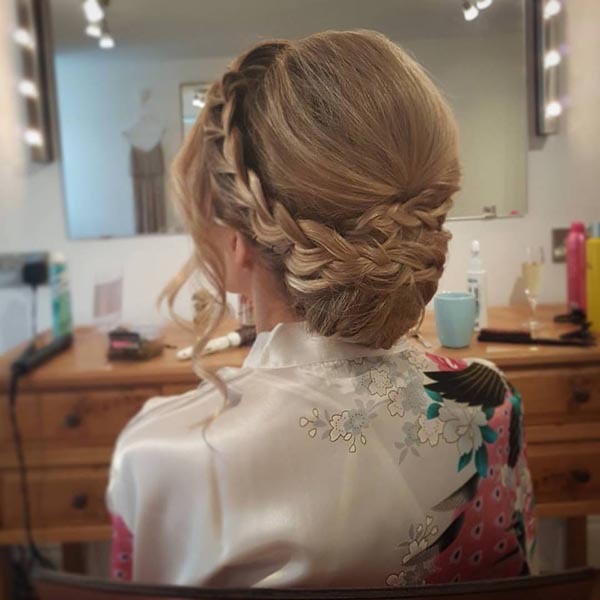 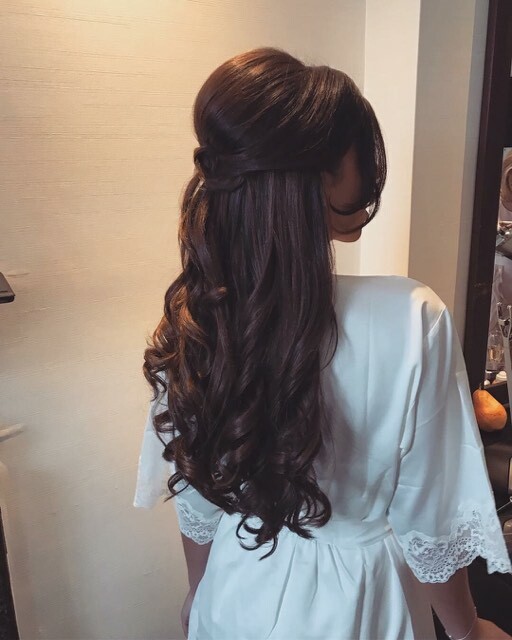 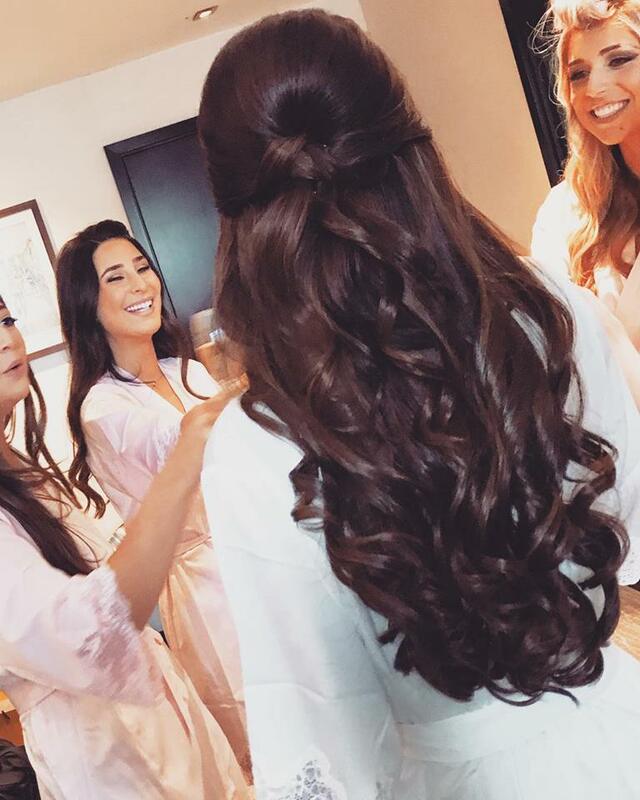 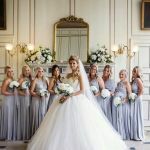 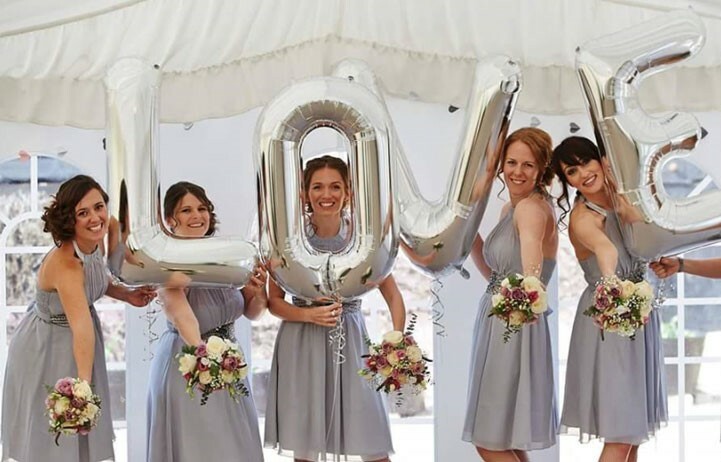 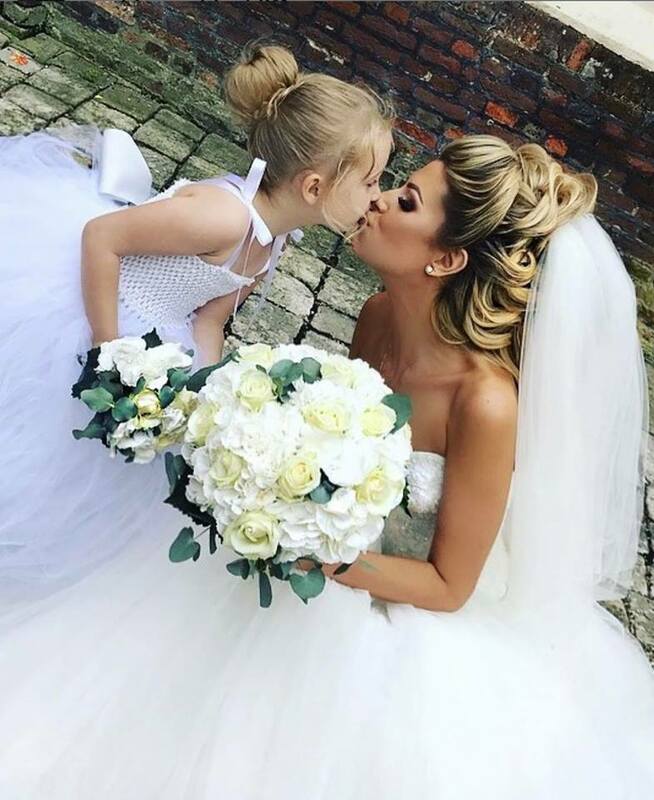 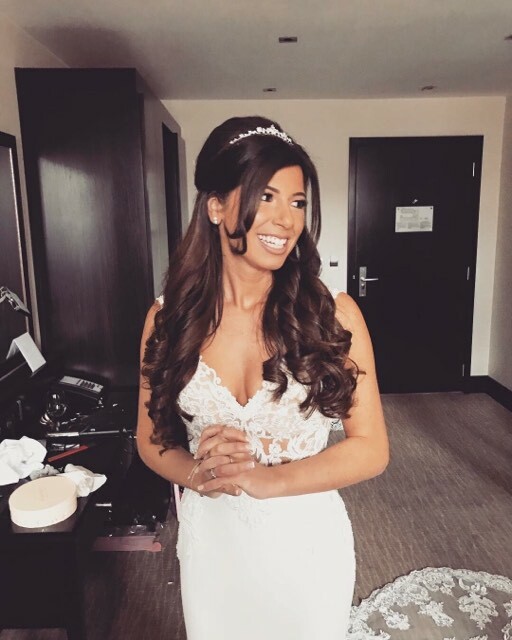 Whether you like chic, modern, cutting edge, Boho or simply romantic, I have the techniques to give you the perfect look for your Big Day. 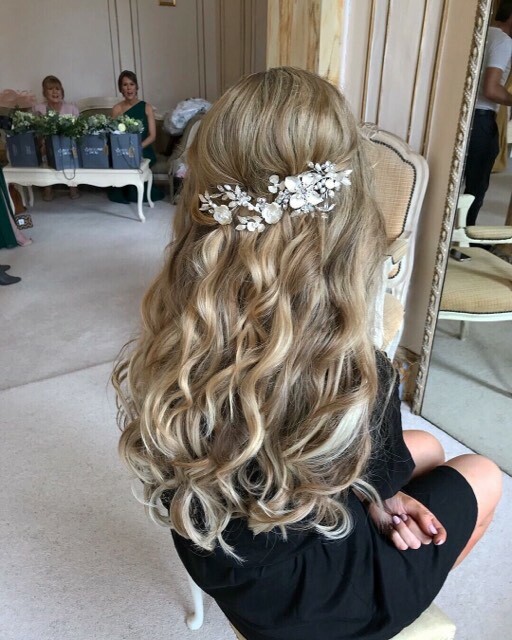 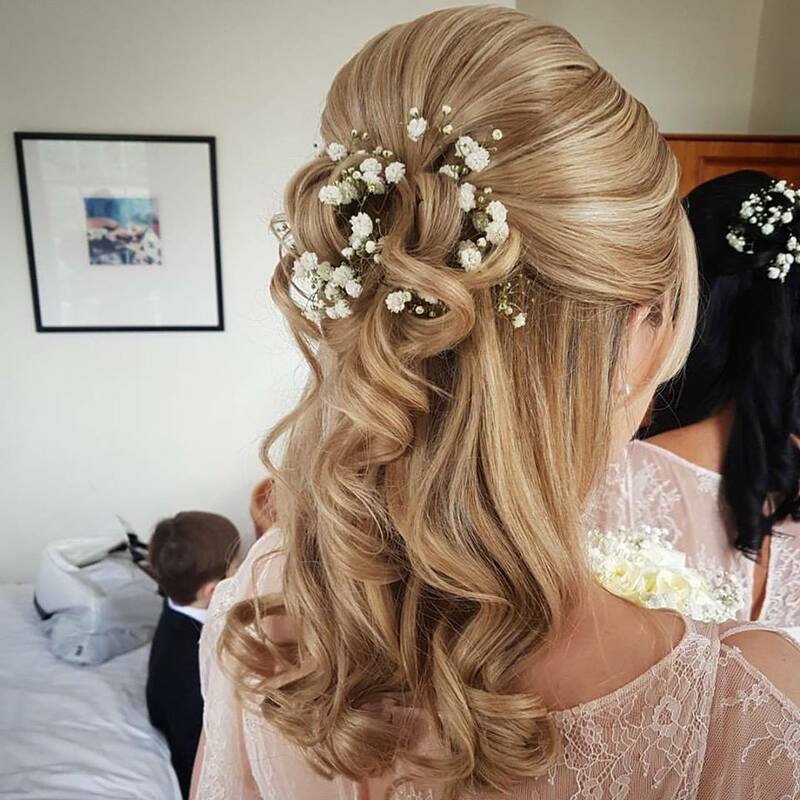 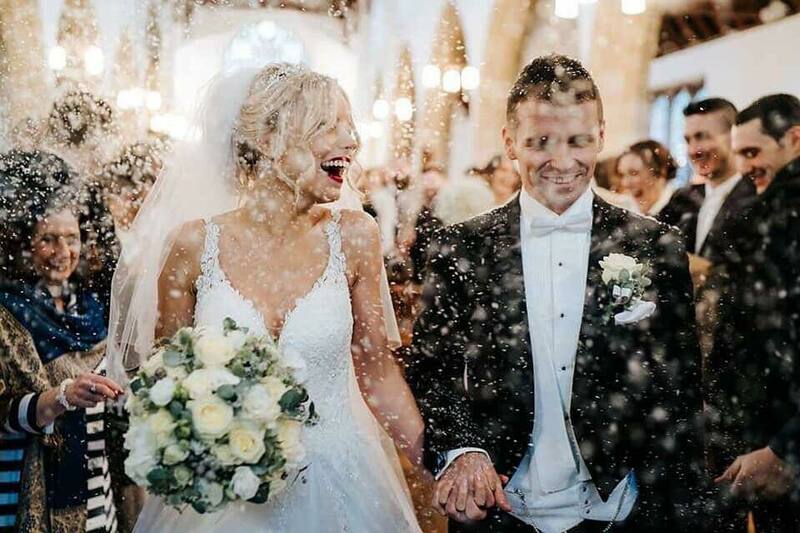 The products I use are of the highest quality, assuring that your hair will look fabulous in photographs that you will treasure forever, and will last the duration of your most Special Day and Evening. 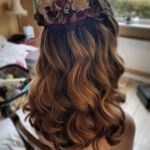 I only use top branded products such as Kenra, Bed Head, L’Oreal, Kerastase, Bumble & Bumble and Schwarzkopf to name but a few. 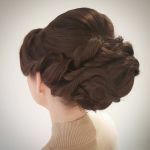 I can ensure that your hair style will last in all weather conditions and survive lots of dancing! 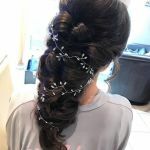 I can also be of help in fitting veils, headpieces, accessories. 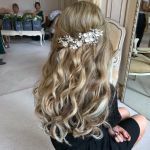 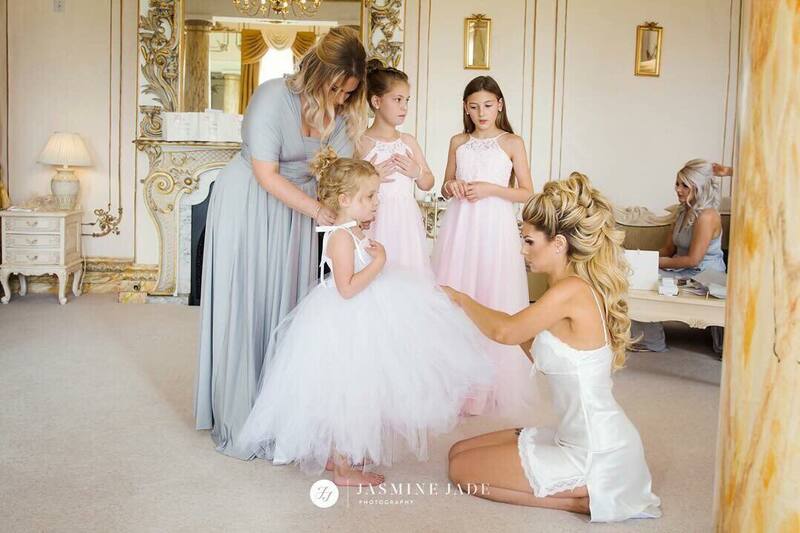 and also helping the Bride and her entourage into their dresses, to ensure that the whole Bridal Party looks their absolute best. 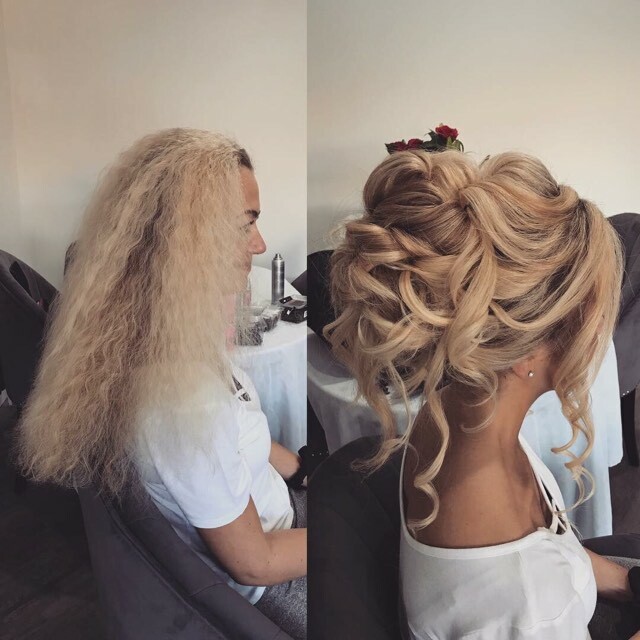 No job is too small; it is all part of the service. 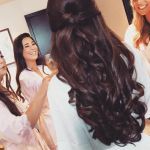 I am fully committed to making your Wedding Morning as relaxed and stress free as possible to enable you to enjoy your Day to the utmost. 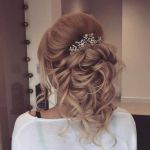 A Trial is very much recommended a few months before your Wedding Day. 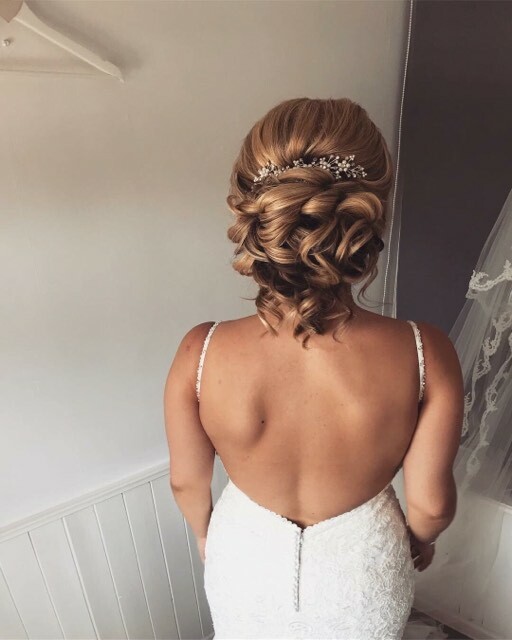 This allows us to get to know each other, have an indepth discussion about what your vision is for your hair, look through some photos, look at your beautiful dress and perform a few styles, until we get to your chosen bridal look. 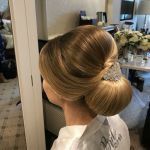 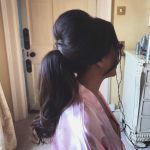 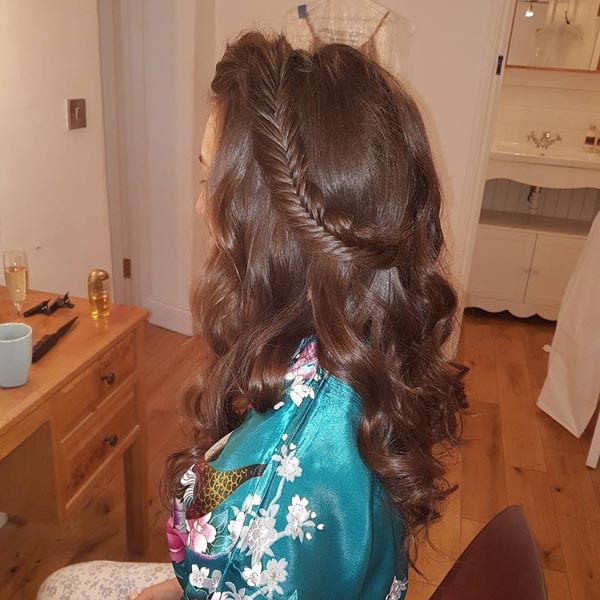 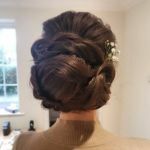 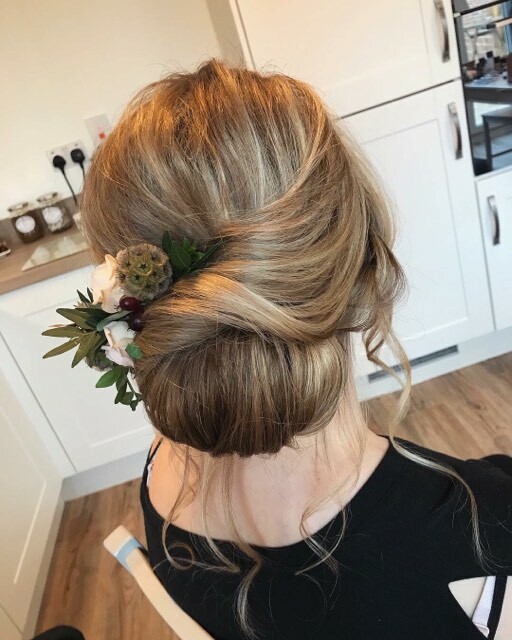 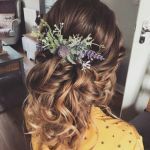 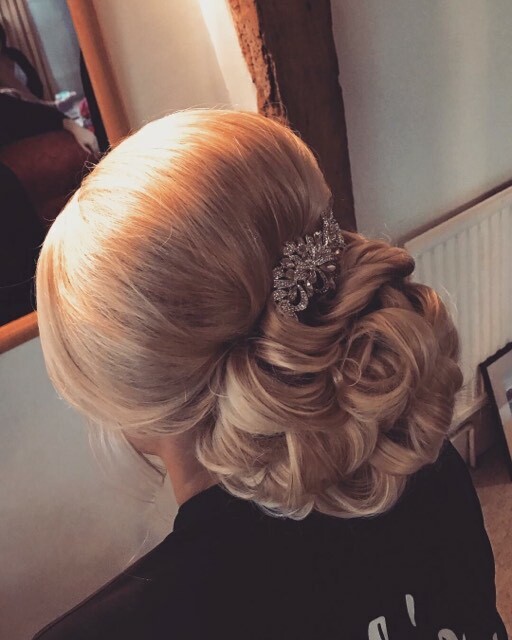 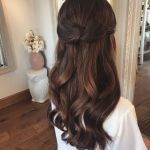 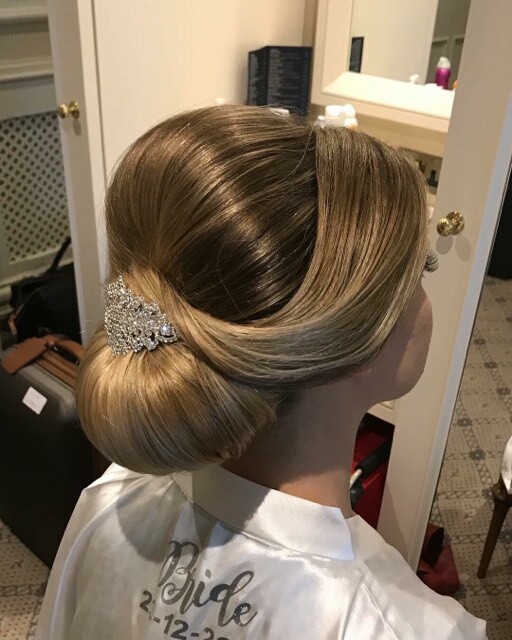 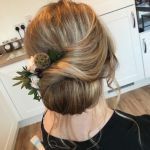 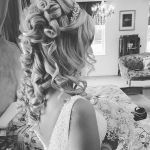 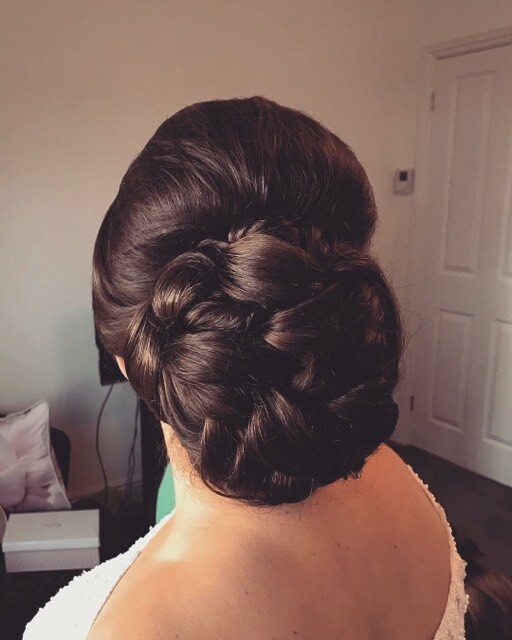 A typical hair trial can be held in the comfort of your own home or at my home salon (if you need to escape from hubby to be!). 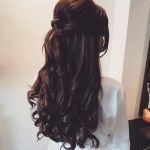 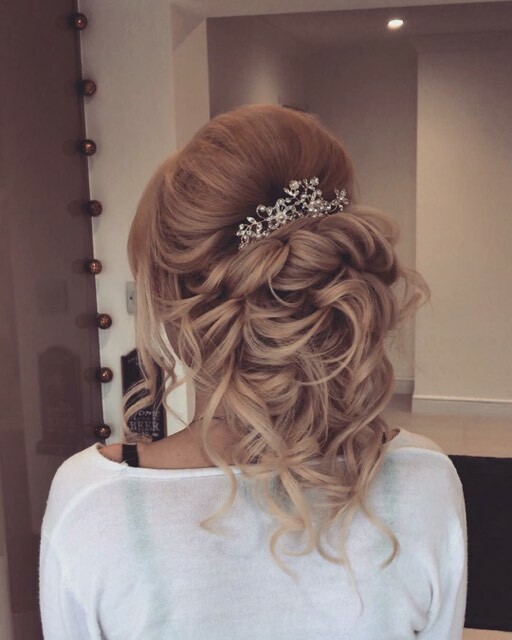 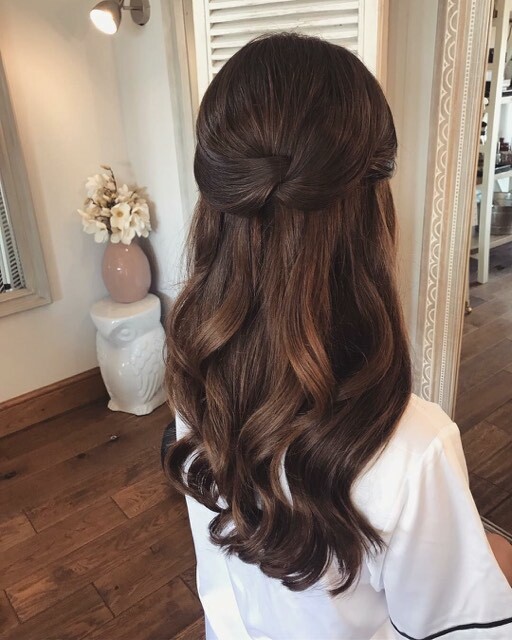 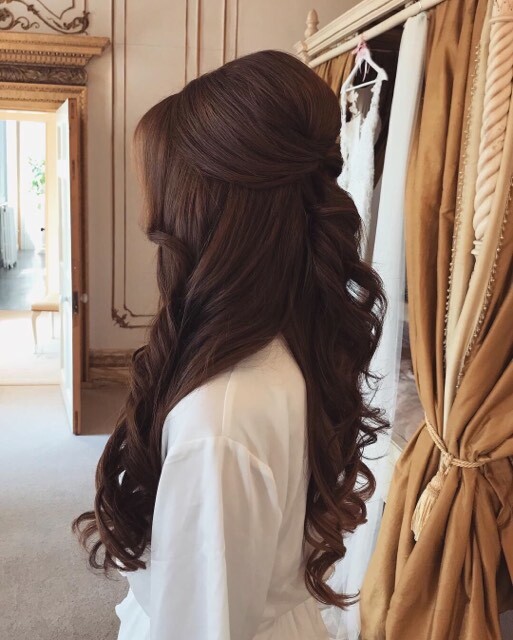 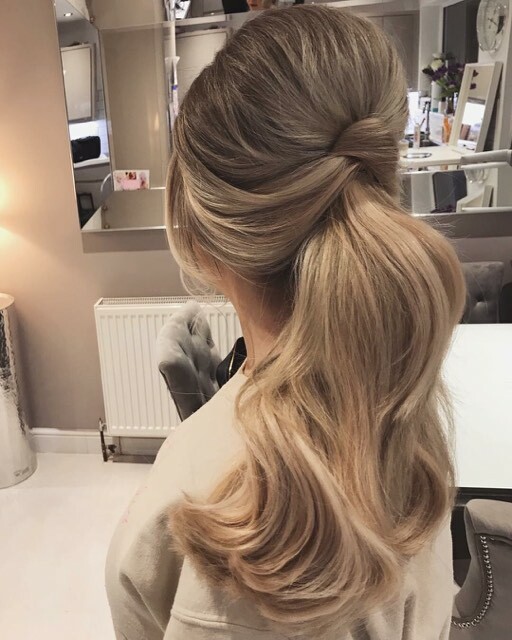 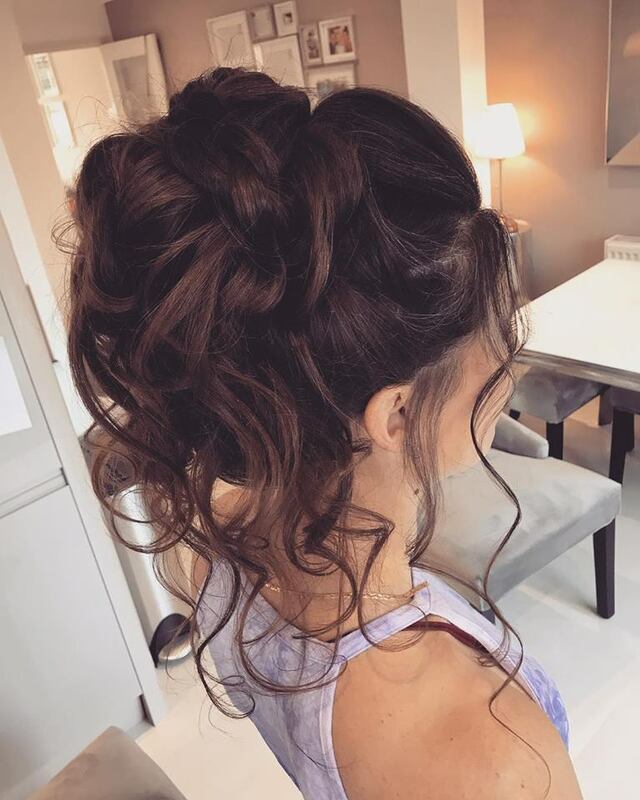 A Hair Trial normally lasts between 1.5 and 2 hours. 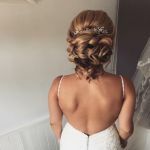 Once you have chosen your desired look photographs will be taken so that I can replicate the same style on your Wedding Day. Location and times will also be discussed at the Trial taking into consideration makeup, photographers and travel so your morning is as relaxed as possible. Washing your hair the night before is always best when hair is going up. 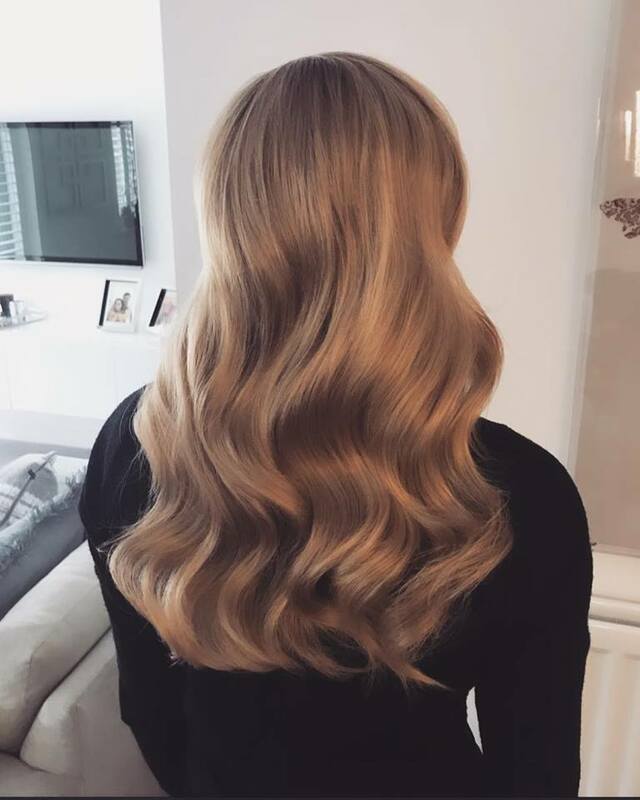 Blowdry as normal without any products and no straightening/curling. 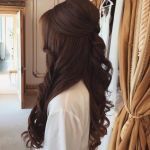 This allows me to work from a blank canvas without a build up of products. 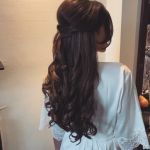 If you feel your hair gets oily quickly then wash on the morning of the trial. 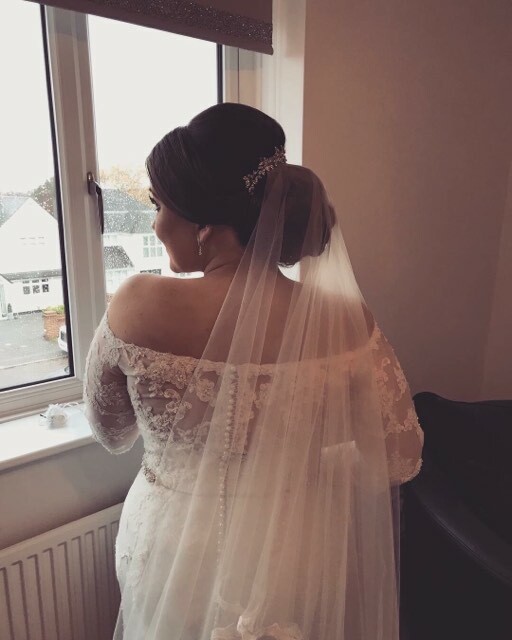 On the day of your wedding I will be stay with you until you are ready to make your way to the altar, thereby ensuring that your hair is checked and topped up after your dress is put on and the veil is in place. 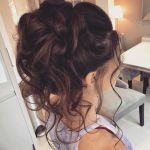 30 miles round trip is included in these prices. 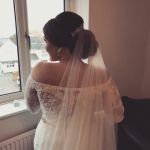 An additional £1 per mile thereafter from CM1 7NY. 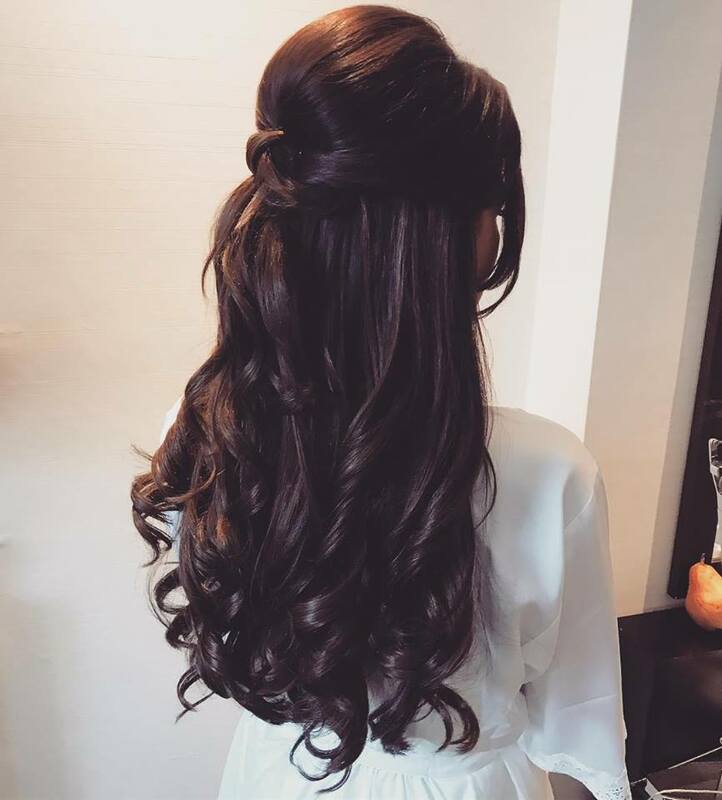 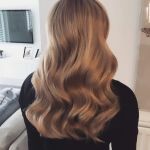 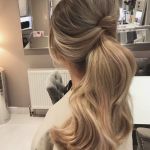 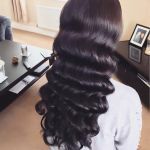 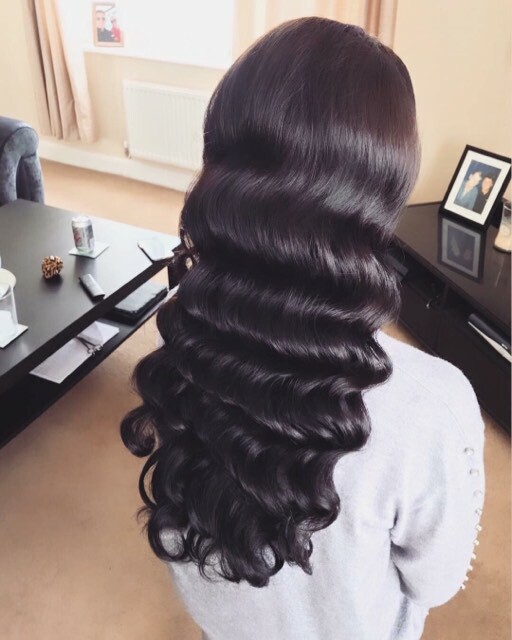 Carly can supply superior quality Clip In Extensions by BeautyWorks that you can additionally purchase from her – ask Carly for more details. 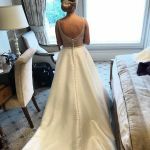 Travelling to Central London – Quote upon request.